Nicholas Meyer's bestselling Sherlock Holmes pastiche novel The Seven-Per-Cent Solution published as a graphic novel by IDW. 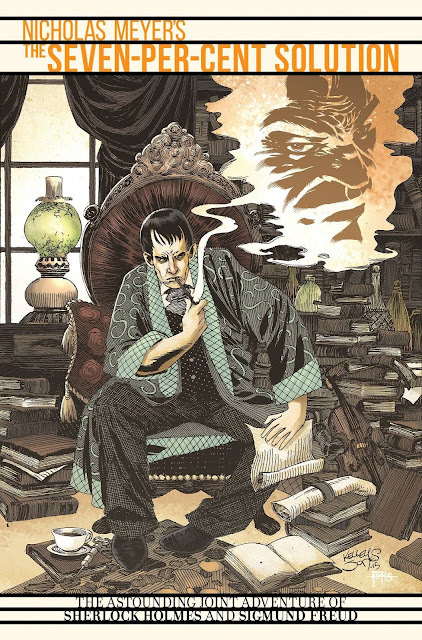 The best-selling Sherlock Holmes novel by writer/director Nicholas Meyer is adapted in this graphic novel by writers Scott Tipton and David Tipton with artist Rob Joseph. The real story behind Sherlock Holmes’ final confrontation with Professor Moriarty is at long last revealed! Who is the real Moriarty? Why did Holmes disappear for so long? The game is afoot!